Let’s face it-we live in a “go-go” world! Our lifestyle is harried, our food is fast and statistics now show it’s taking a toll on one of the most important parts of our life–our sleep. The 2002 National Sleep Foundation (NSF) Sleep in America poll found that 74 percent of American adults are experiencing a sleeping problem a few nights a week or more, 39% get less than seven hours of sleep each weeknight, and more than one in three (37%) are so sleepy during the day that it interferes with daily activities. Our fast paced way of life is getting the best of us. What about you? Five hours of sleep at night is good enough. It’s ok to skimp on sleep during the work week as long as you make up the time over the weekends. The effects of sleep deprivation are short-term (e.g., darkness under the eyes and dull and/or splotchy skin after a bad night’s sleep) and has no effect on long-term health. Drinking caffeine early in the evening does not affect sleep. Keeping a TV or computer in the bedroom has no effect on sleep. The amount of sleep I get has nothing to do with my weight. If you answered “true” to two or more questions you may need to make a few changes in order to achieve the highly coveted “goodnight’s” sleep and keep yourself in optimal health. Experts suggest that most people need between 7 and 9 hours of sleep each night but that doesn’t apply to everyone. Some people only require 6 hours while those who are more active or have an illness may require more. So how do you know if you are getting enough quality sleep? Those who are sleep deprived often look the part. Dark circles and the “sleepy” look are common, but they also can have unpredictable moods, drowsiness during the day, have difficulty concentrating, weak immune systems, recover poorly from injury and get sick more often. Sounding a little too familiar? In fact, poor sleep has been found to impair the ability to perform tasks involving memory, learning, and logical reasoning. This may contribute to mistakes or unfulfilled potential at school or on the job as well as strained relationships at home. Even more disturbing, inadequate amounts of sleep have been linked to an increased risk of diabetes, high blood pressure, weight gain, obesity, heart disease and depression, to name just a few. But what if you go to bed early, have every intention on logging in your 7-9 hours but only to lie awake watching the clock…eyes wide open? Well, there are several simple adjustments you can make to stack the cards in favor of a better night’s sleep. Avoid watching TV before bed…especially in bed! The bed should be reserved for two things…sleep and romance…not Desperate Housewives or football! Research shows that those who experienced the most sleep disturbances had televisions in their bedrooms and used the TV to fall asleep. Try a different pillow or mattress. It’s scary to think how long some of us have been sleeping on the same pillows and mattresses for years and years. Does your mattress provide the support you like? Do you wake with your back aching? Is there enough room for you and your sleep partner? Do you sleep better, or worse, when you sleep away from home? These are all things to ask yourself to determine if your mattress could be the “sabotager” of your good night’s sleep. Or more simply, just replacing your pillow with a new, fresh, higher quality version could be all that you need. Avoid caffeine late in the day. Did you know that even a small amount of caffeine even 10-12 hours before bedtime can cause problems falling asleep! Try eliminating the tea, soda and even chocolate and see if sleep improves. Listen to relaxing music. Establishing a relaxing bedtime routine, such as listening to music, could be just the thing you need to signal your body it is time to sleep. So, dim the lights and throw some slow jazz or purchase a “relaxing sounds” CD to help slow your mind and body down for an evening of peaceful sleep. Try mind- body techniques. After an action-packed day, your brain and body need to unwind and detox before sleep can occur (a.k.a. you need to chill!) Create a “ritual” for bedtime – take a bath, meditate, do some easy stretches or yoga. Try to do your “ritual” in the same way, in the same place, at the same time each night. The repetition will trigger your mind and body that it is time to relax and sleep. Try a natural sleep aid. For many people, while the above tips and suggestions may help, it often isn’t enough. if you are one of those people who really have a hard time getting to sleep and staying asleep, you may want to try a natural sleep aid. While over the counter sleep medications may help you fall asleep, they cannot be taken long-term and have risky side effects. A sleep aid that uses natural ingredients is a better approach to getting a solid night’s sleep. 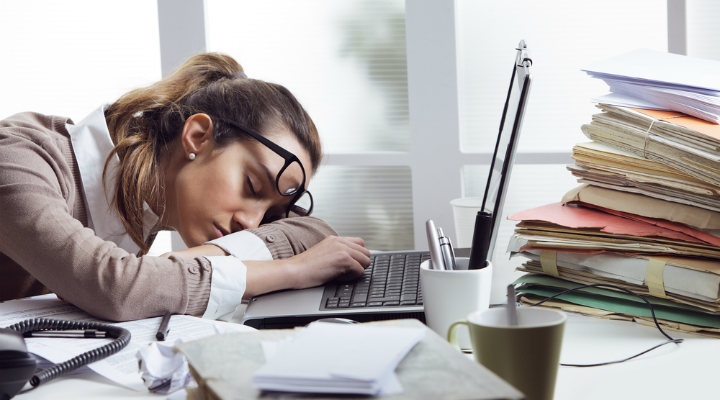 Is Melatonin The Cure For Sleep Disorders?